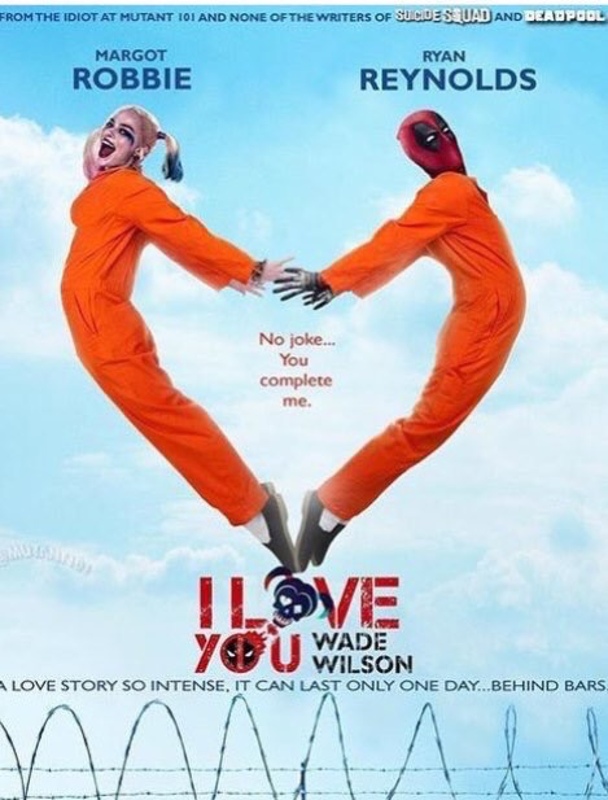 I amor You, Wade Wilson | Parody. . HD Wallpaper and background images in the Deadpool (2016) club tagged: photo margot robbie ryan reynolds harley quinn deadpool suicide squad deadpool 2016 marvel dc comics. Marvel & DC's craziest characters. Lol gotta love this 2. @14K. I know. I cannot wait until the Suicide Movie comes out.